Beaumont and Banning have beautiful 55+ Senior Communities like Solera, Four Seasons, SunLakes, and a few other smaller senior communities. Today's market lists are all homes for sale in these gorgeous 55+ communties. 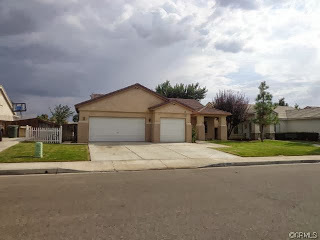 $236,000 - Ask me for more info! 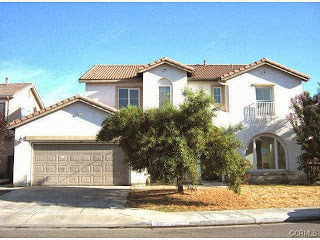 Click here to see other Solera homes for sale. $255,000 - Ask me for more details! Click here to see Four Seasons homes for sale. 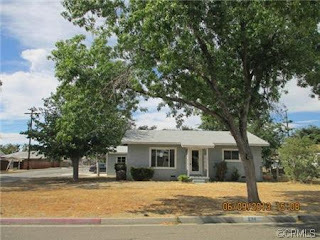 $189,000 - Ask me for more details! 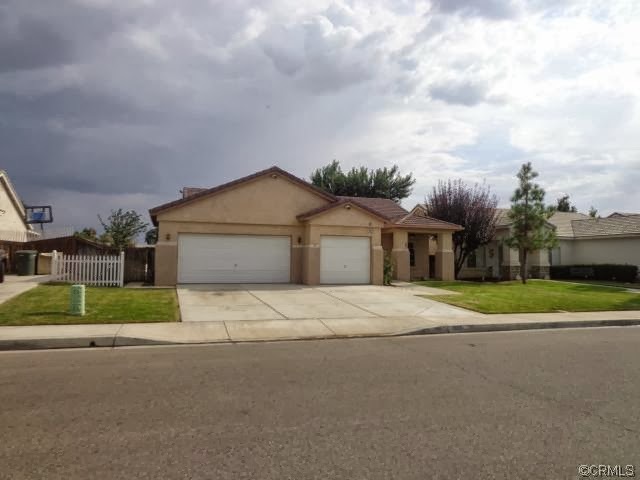 Click here to see Sun Lakes homes for sale. $95,000 - Ask me for more details! Click here to see 55+ Senior homes in other senior communities for sale. Hope that you were able to find something that you liked! Videos Coming Soon... I Promise! I hope everyone had a wonderful Thanksgiving Day. It was a nice long weekend. I'm sure it was a much needed break for everyone right? Now that it's December, the holidays will be soon getting into full swing! I probably won't be posting on here as much as I usually do, but I promise you one thing, there will be a video on here before the end of the year! Anyone have any good ideas for what you'd like me to talk about in my first real estate video? Would you like charts and graphs and market trends for different cities in the Inland Empire? I suppose I could make it a really nerdy first video. Or I could do a simple introduction video and tell ya'll a little about myself? 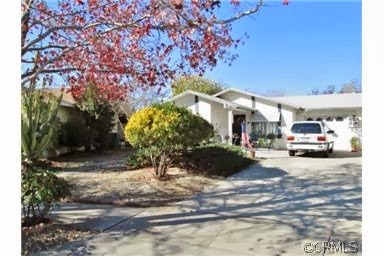 Today we're exploring the available homes in the City of Yucaipa that are priced at $300,000 or less. Yucaipa is such a beautiful city. It's a good mix of rural rolling hills with large lots of land and convenient shopping. In fact, a TJ Maxx store just had their Grand Opening on Sunday October 13th in Yucaipa! I tried to go by and check out the grand opening, but the parking lot was packed! I didn't even bother to go inside that day. Seemed like the shopping could have escalated into a contact sport if bargain shoppers got rowdy! Let me know if there are any homes that you would like to learn more about! It seems as if we have made a new routine for this site! 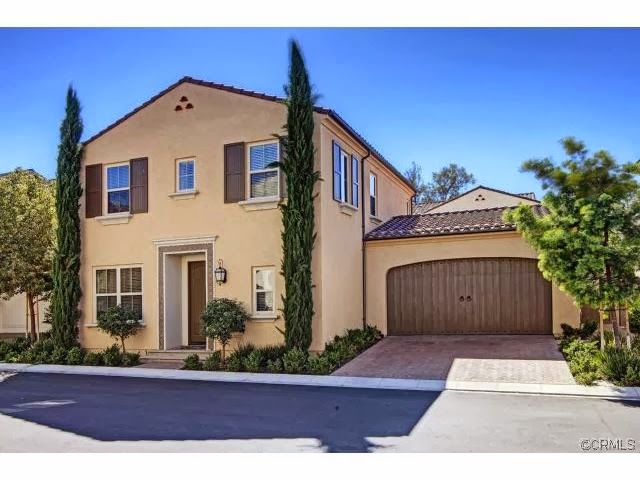 For the past few days, I've wanted to share some posts, Monday through Friday, with a clickable link to a list of the latest homes for sale in the various cities in the Inland Empire. If you are liking these lists, let me know by commenting below. I will keep posting them. What I like about this direct-from-the-MLS lists is that they are the most updated source of information. Other websites, like Zillow or Trulia etc., may not have the most updated information - I have seen this happen on multiple occasions. People will call me on what they perceive to be a really good available deal from Zillow, but when I look up the property on my MLS, the house is unfortunately, already sold. 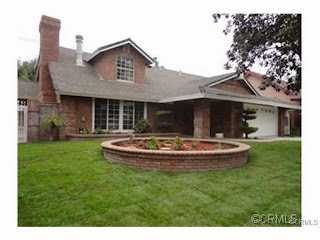 Today our homes list is for the City of Redlands. I searched for regular homes, condos, and townhomes that have 3 or more bedrooms under $300,000. Let me know if there are any homes you'd like to know more about! Comment below or email me at tina.jan@coldwellbanker.com. I hope everyone is having a nice Columbus Day! 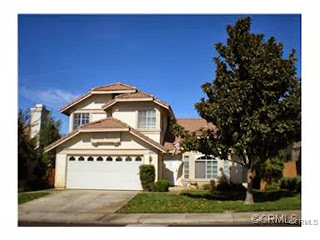 Today, I did a quick search for homes for sale in Moreno Valley, California. 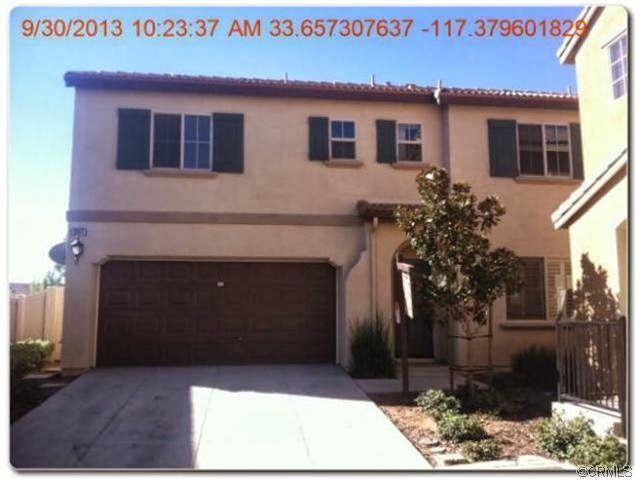 Attributes that I searched for were properties that had 3 or more bedrooms, but were priced at $200,000 or less. 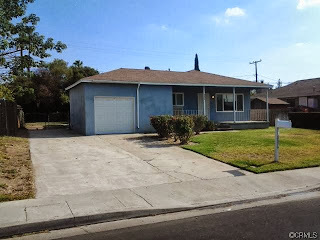 As I reviewed the results, I saw two properties that were priced at less than $100,000! As the prices have increased in the past few years, it has been harder to find those cheap homes! But it looks like there might still be a few out there. 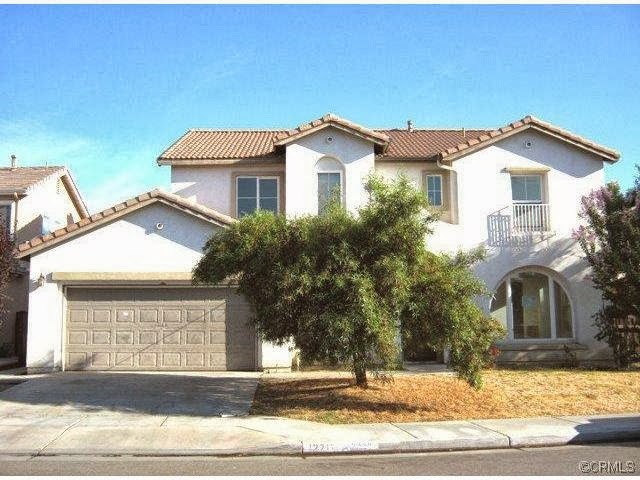 Click here to see the homes for sale in Moreno Valley that are under $200,000 with 3 or more bedrooms. TinaJan.com is getting a new look! It's high time things changed around here. I was getting tired of looking at the same background everyday. Say buh-bye to my beautiful Beaumont background pic! Gadgets in the sidebar that weren't showing up correctly got the boot, specifically the Twitter feed widgets and Flickr pic updates. The footer image of me when I first started real estate almost 9 years ago had to go as well! I hope you like the new look. Having a dynamic blog as a website means that things should be changing often. Blogger.com makes it easy to switch up the templates and customize the look with just a click. I remember when I had a static website years ago and every change meant meticulous HTML coding. Thank goodness we are well past that. Instagram pic of my workdesk - the epitome of excitement! I'd love to figure out a way to post my Instagram pics on here and upload more videos. As soon as I figure those out, there will be even more updates to this site. Any avid sweepstakers out there? I don't watch much TV, but I have seen Extreme Couponing and also High Stakes Sweepers enough times to know that I'm missing out on a good thing. Obviously it takes alot of dedication and consistency to increase one's odds, but sometimes dumb-luck works out in the end. You've already seen my many posts about the HGTV Dream Home, Urban Oasis, Smart Home Sweepstakes. Here is another major sweepstakes spot to add to the list! 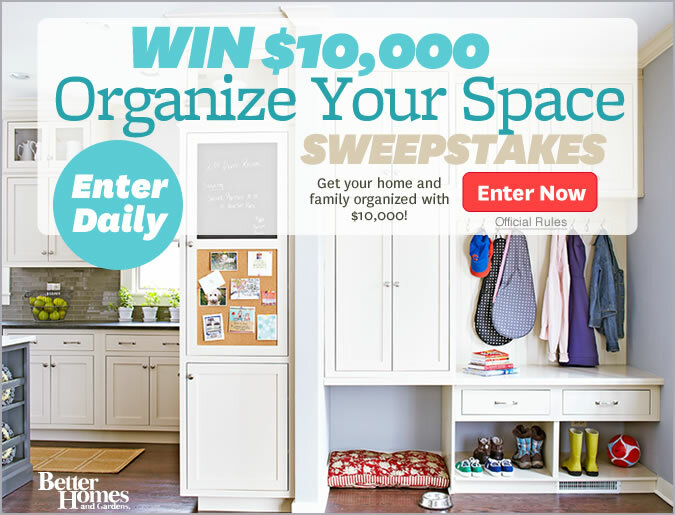 Better Homes and Gardens provides a list of their current sweepstakes and exclusive offers that anyone can enter and try for. Just remember to click the "Enter without subscribing" link that is on the entry pages so that you won't have to subscribe to the magazine if you are not interested in it! Good luck! Hope you win something! And of course, if you do win something nice, please come back and share the story! Homes for Sale in Riverside, California - $300,000 or Less! If you've been searching for an affordable home in the City of Riverside, California, you've come to the right place! If you are interested in any of these homes and would like to know more about them, email me at tina.jan@coldwellbanker.com or comment below! Every year the California Association of Realtors (CAR) holds an expo with dozens of guest speakers, training classes, and marketplace vendor booths galore. The locations change each year, but this year it's in Long Beach! It's not too far away for it to be a day-trip for Inland Empire Realtors, myself included! I'm looking forward to mingling with other California Realtors and learning about new technology and services! Anyone else going to the Expo this year? Since this is my first year going, do you have any tips and tricks for making the whole experience better? If so, feel free to comment below! Homes for Sale in Beaumont, California for $300,000 or Less! For buyers who are looking for affordable homes at $300,000 or less, today I have a homes list from the City of Beaumont. 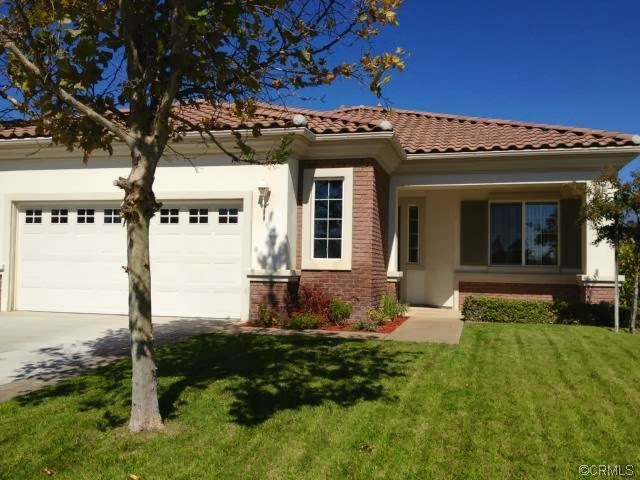 Beaumont has convenient retail shopping and is close to the Premium Outlets in Cabazon, CA. 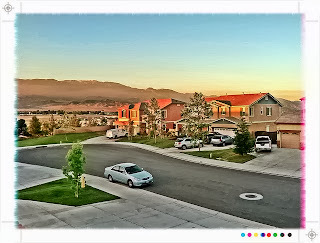 Many of the homes are situated in beautifully planned communities, where the homes are less than 10 years old. Beaumont is one of my favorite cities to show properties in, but I may be biased because my office is located here! Click here to see the homes for sale in Beaumont under $300,000. Feel free to email me at tina.jan@coldwellbanker.com or call/txt me at 909-446-2666 if you would like to learn more about these homes. 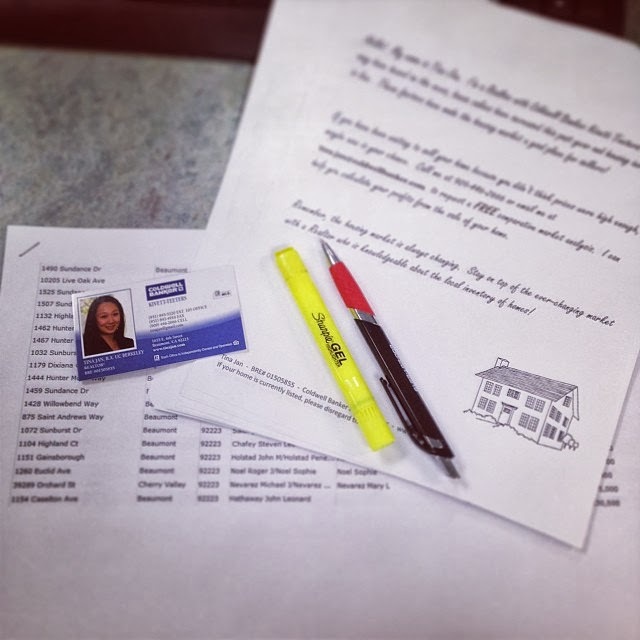 I would be happy to help with your home-buying experience! Government Shutdown: How Does it Affect Buyers and Sellers? According to yesterday's article in the LA Times, the government shutdown is affecting buyers and sellers in a negative way. Although mortgage rates have gone down significantly, there are many delays to the home buying and selling process that will make transactions more difficult for all parties involved. David H. Stevens, president and chief executive of the Mortgage Bankers Assn., said in a statement on Thursday that "lenders processing loans that need tax transcripts, Social Security number verification, or FHA home loans face longer delays and reduced functionality." The article continues by suggesting that potential mortgage borrowers discuss with their lenders about timelines and expectations, as well as ask about longer commitments, longer rate locks and extension policies. How do you feel about the government shutdown? Has this affected your home buying or selling ability? Comment below, I'd like to hear from others who are facing delays to their property transactions because of this. HGTV Urban Oasis 2013 Giveaway Sweepstakes - The Acura has a Handbag Compartment! For those of you who like to "dream" about winning sweepstakes, I hope you have been entering the HGTV Urban Oasis 2013 Sweepstakes to get a chance to win a gorgeous condo in a Boston skyrise. One of the other winning gifts is an Acura MDX 2014. I just have to say that the photographer really knows who they are catering to with this sweepstakes. The car had a center console compartment that fits a handbag! The Acura MDX 2014 has a center console compartment that fits a handbag. The HGTV Urban Oasis 2013 Sweepstakes ends on October 18th, 2013. Let's keep entering everyday! As home values have jumped up significantly, affordable homes have become scarce. 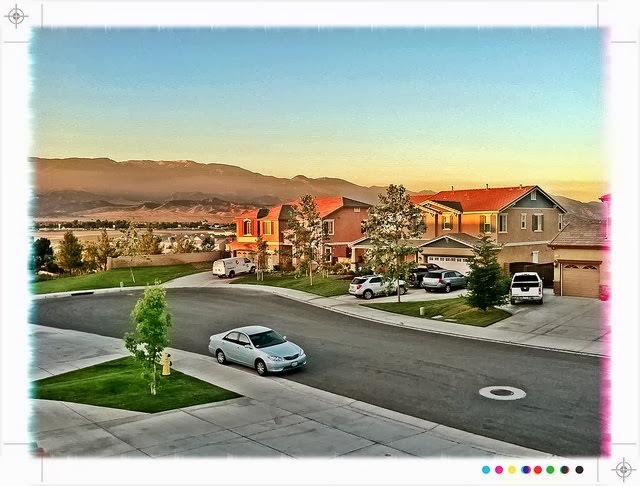 One of the few places in Riverside County that still have homes for $200,000, or less, is the beautiful city of San Jacinto. For those of you who are not familiar with San Jacinto, visit the San Jacinto City Page. Click here for a list of homes in San Jacinto that are $200,000 and less. The good homes get snapped up quickly in the current market. 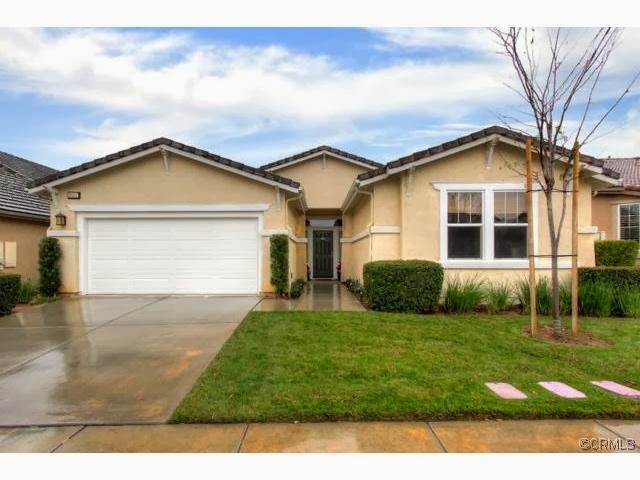 In fact, during the time it took me to search/make this homes list and type this short post, one of the available homes went into escrow! 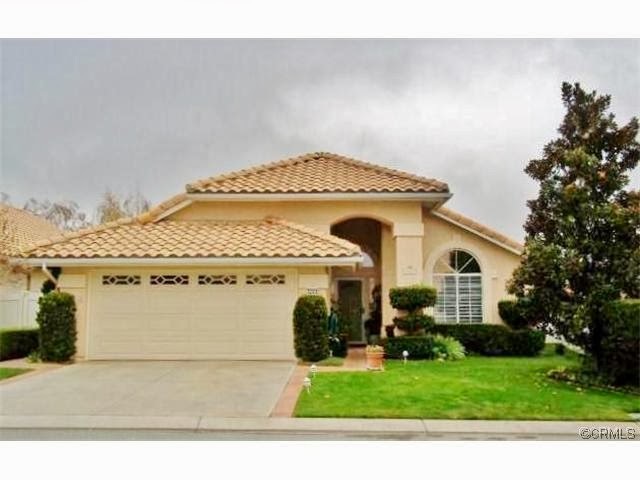 This being said, if you want to take a look at any of these homes, email me at tinajan@gmail.com or call/txt me at 909-446-2666. This year's HGTV Urban Oasis 2013 Giveaway Sweepstakes is in Boston! I'm going to be entering the contest every day! Let's motivate each other to keep entering, maybe someone we know can win this! You can enter two times a day (one time at HGTV.com and one time at Frontdoor.com). Click here to enter the sweepstakes. The views from this bedroom must be amazing! I love how edgy, sleek, and shiny the kitchen and the kitchen island look! The bathroom looks like an art gallery or a danceclub. 39350 Tokay St., Cherry Valley, CA 92223 - NEW LISTING! NEW LISTING from my office! 39350 Tokay Street in Cherry Valley is a beautiful traditional style home. 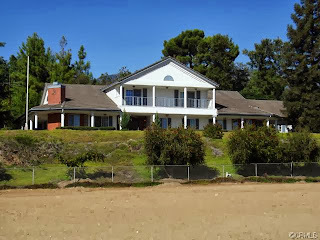 The main house is about 6000 sqft, the guest home is about 1200 sqft. The lot is expansive at 11.36 acres. The property has a barn, stables, and other structures for horses, an orchard with various fruit trees, and a flat open piece of land near the front of the home that would look great with a tennis court, basketball court, or pool. For more details, click here. After you click the link, you can expand the information by clicking "Display" in the upper right corner, then select "Public Customer Full." Or click here to see just the photos. Listed by my wonderful coworker, April Schmidt from Coldwell Banker Kivett-Teeters. It's been a busy year so far in real estate. Lots of interesting changes in the market have left buyers and sellers scratching their heads, I'm sure! Now that October has rolled around, I think it's high time to change things up on this little real estate blog. So many aspects have changed in the real estate market, I have grown as a Realtor since I first started over 8 years ago, and I think its appropriate for the blog to grow a bit as well. After several vacation trips here and there during the summer, I've finally settled back to into my work routine and I'm chomping at the bit to get back into Realtor-mode! As far as this blog is concerned, I'm going to get back to the basics and cover more real estate news and info on a daily basis. Since being a Realtor is more like a lifestyle than a job, I think I am going to expand into my tech tools, app recs, and other helpful ideas. And finally, I'd like to make the blog more pic and video friendly. I am literally gearing up to do short videos by purchasing more audio/video equipment! It will be a bit of a struggle as I am a bit camera-shy (I can't get over the fact that I am having conversations with pieces of black/silver colored audio/visual hardware rather than actual people). But if you can overlook my awkwardness, I hope that some tidbits of helpful info will be your reward! Visit often and stay tuned! IMG_4565.jpg, originally uploaded by TinaJan. My how the market changes! As a real estate agent, I deal with large assets and alot of emotions. Buying or selling a house isn't a cut and dry transaction. It's not like buying a pack of gum from the grocery store. There aren't set prices for anything. It is partially, supply and demand, but that doesn't take into account the feelings of the people involved. Honestly, I think most people really trust their gut when it comes to buying and selling homes, if they don't feel good about it, they won't do it, and that is perfectly justified in my mind. Buying or selling a home is big deal! Along with several other factors (like interest rates, global and national economic, politics, etc.) the general population's feelings helped change the market from a lethargic buyer's market filled with a 6 month inventory of homes to an aggressive seller's market with nearly no housing inventory. After the housing price peak in 2006, Southern California promptly got a housing crash in 2007. There were sellers trying to short sale their homes to save themselves from foreclosure, but buyers didn't want to be stuck with a home that was losing value daily. Because of this, few buyers bought. The homes that were purchased by buyers during this time were the REO's, or bank-owned properties. The transactions were quick and buyers with loans were able to buy gorgeous large homes at affordable prices. Short sales took 5+ months to complete, which turned off most buyers. Even if a buyer did offer on a short sale, they would often lose interest and leave to instead, buy an REO. Inventory was at record highs, 80% of homes were short sale listings, the rest were REO listings, and there were very few standard sales. This makes sense because the market values were still below original purchase prices, so very few homeowners were able to sell their homes and break even. In 2012, several things changed. A presidential election had been decided. Fewer REO's came onto the market. Buyer's regained confidence in the housing market. Prices stopped dropping. Interest rates started to creep up little by little. All of these small factors added up to make one big effect - fewer homes for sale and lots of buyers. In today's market, REO listings and short sales are hard to find, while standard sales are dominating the housing market. This is because the lack of inventory and the increased number of buyers is causing more competition, which is driving up home prices. This is good news for sellers because this means they no longer need to short sale their homes. With prices up, homeowners are able to sell their homes and break even. Some are even able to make a little profit. We are seeing some investor home flipping come back. Cash buyers make up about 30% of the market share of closed deals. Buyers with loans are really having a tough time competing. For every affordably priced home that is on the market, it is not uncommon to have 10 offers within the first day on the MLS. If this situation keeps up, sellers should be pretty excited, because it is a good time for them to sell. As you can see, the housing market is constantly changing. Within just a few years we've seen the beginnings of a total reversal from a buyer's market to a seller's market. 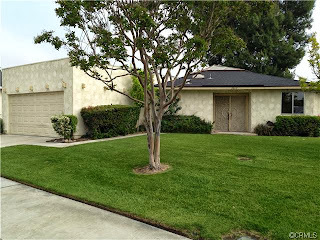 If you have any questions, comments, or want to sell your home, email me at "tinajan@gmail.com" or call/text me at 909-446-2666. Keeping abreast of market changes will help you be more informed about whether to buy or sell today. Looking forward to hearing from you! 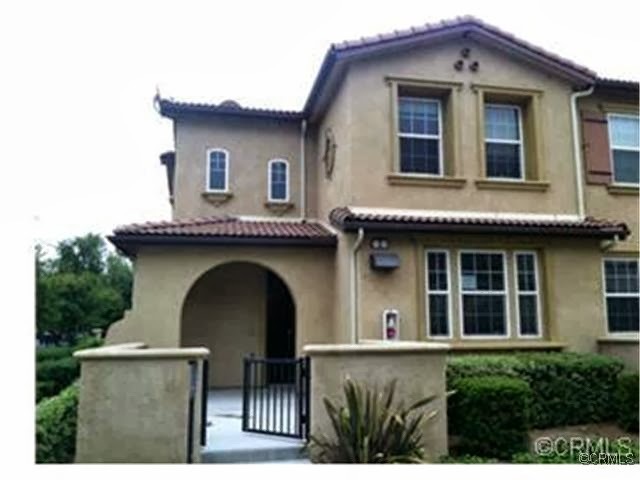 Let's take a look at the recent real estate issues for Southern California and the nation. 2. Home Shopping: Should you buy a new construction or a resale home? 3. Buyers are returning to buy after their foreclosures. 4. 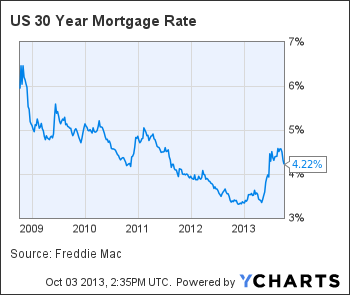 Higher mortgage rates help the housing market. 5. Foreclosures come back to haunt borrowers. 6. 2012 was all about short sales, 2013 is a return to the standard sale. 7. Home prices are finally returning to normal. The new HGTV home sweepstakes is here! This amazing house is a real beauty too, so keep reading below for more details on how you can enter to win. I will try to remember to enter the contest too! This year's Dream Home is located on Kaiwah Island, 15 miles south of Charleston, South Carolina. 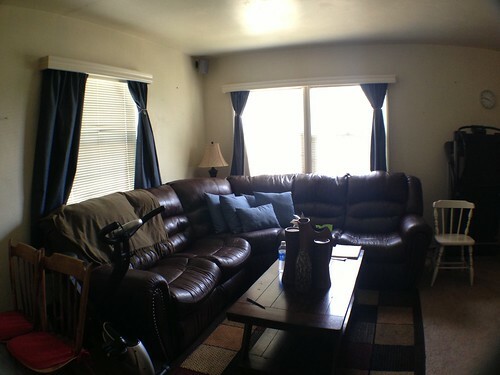 The home is 3000 sqft and features 3 bedrooms, high-end appliances, furnishings, and custom artwork. Also included in the Grand Prize is a new 2013 GMC Acadia Denali and $500,000. I know you are all excited to see the Dream Home, so here is a link to the video and photo tours of the 2013 HGTV Dream Home. The hundreds of pics are so gorgeous and inspiring! Even if we don't win the sweepstakes, at least we have the lovely images! A few of the photos really caught my eye, I hope you don't mind if I share them with you. The great room above has high ceilings and lush views beyond the myriad of windows. The kitchen isn't very elaborate, in fact, it's rather minimalist with its straight white lines and edges and hidden fridge. I mean, look at the hood above the cooktop, even though it's pretty large, it doesn't dominate the room at all. I really the clean look the designers went for! And while there are many other rooms to highlight, I think the guest bathroom really sums up the mood of the home. The HGTV site mentioned "Zen" several times when describing this huge cottage. This room really exudes the tranquility one would associate with "zen." I like how the white shower bench continues beyond the glass shower doors with the lines in the dark wooden bench stool. All in all, this house is a real gem and I can't wait till HGTV announces the winner! Who knows, it may even be you! Submit your entries daily until February 15th, 2013! You can submit once at HGTV.com and once at FrontDoor.com!